Coming Soon to Real Estate Near You: Blockchain! Blockchain technology is one of the hottest topics in the business world today. While many consumers are familiar with cryptocurrency, they may be less familiar with blockchain's other applications. As a distributed, secure, and open ledger, blockchain can change the way we do business in any industry. Blockchain has several features that make it a particularly strong fit for the real estate industry, especially regarding title examination and recording. When you buy a home, your Realtor will work with a title company to ensure that you receive a clear title. The first step in this is a title examination. The title company will search the county Recorder of Deeds' records for records pertinent to the property you're purchasing. They will verify that the current owner has a clear title, and will identify any existing liens (such as mortgages, HOA dues, or property taxes) that need to be satisfied before a clear title can be transferred to the new owner, as well as identifying rights of third parties to the property (such as easements for utility lines). This is a time-consuming process, with a large potential for costly errors. The records are often incorrectly indexed, and often require use of a patchwork of various databases. Documents can go missing or copies can be destroyed. Fraud is a common problem; the FBI has referred to mortgage fraud as one of the fastest growing sectors of white collar crime. Real estate technology, particularly in the area of title examination, has certainly come a long way in the information age, but ultimately, real property records are maintained the same way today as they were in the colonial era. Blockchain presents a great opportunity to revolutionize this area of real estate technology. Blockchain transactions are transparent; the ledger is distributed so that any transaction can be validated. This could be a boon to title companies. Misindexed or missing recorded documents, for example, could easily be identified via the blockchain's distributed ledger. The same transparency also provides an insurance against fraud—if anyone claims to hold a clear title to a piece of property, this can be accurately validated in moments, rather than requiring someone to conduct a lengthy title examination. In addition to transparency and security, blockchain allows for smart contracts. These are contracts embedded in the code of the blockchain, which execute automatically when their conditions are fulfilled. This has the potential to greatly reduce errors in recording and examination of titles. For example, when you buy a home and finish paying off your mortgage, the bank is required to send a satisfaction of the mortgage to the county Recorder of Deeds, so that the lien will no longer appear on the title to your property. Sometimes these satisfactions are not sent, or are sent and improperly recorded, meaning that the lien remains on title. This can cause headaches for the buyer, seller, and real estate agent alike at the time of sale, since the issue must be corrected before the property can change hands. Smart contracts can eliminate this problem. There will be no need for the lender to send a satisfaction; the contract will automatically execute the satisfaction upon fulfilment of the last payment. The same could be used to transfer a property to a buyer who's purchasing a home under a rent-to-own or other installment payment as well. The technology could even be used to distribute property to heirs of an estate. There have been several pilot programs for this real estate technology. The government of Sweden, for example, has been experimenting with blockchain for real estate title transfers, and has found it to be successful. Sweden's real estate title registry, the Lantmäteriet, has estimated that it can save over $106 million annually by converting to a paperless blockchain registry. Here in the US, the first pilot program for blockchain title transfers was conducted in Cook County, Illinois, over an eight-month period in 2016 and 2017. The results were a success; they've established that blockchain can be used to record real estate title transfers accurately, safely, and in compliance with applicable laws. The pilot program also demonstrated that using blockchain rather than paper deeds reduces the possibility of fraud, because the evidence of the property title transfer can be embedded in the transaction record. 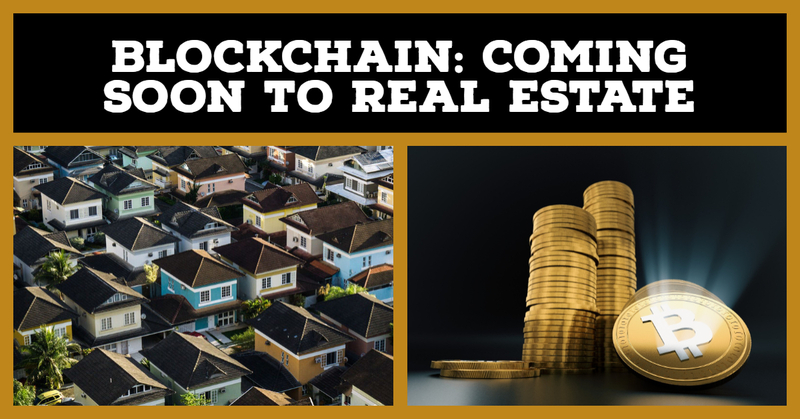 The use of blockchain for real estate title examinations may make it easier for individuals to buy and sell fractional interests in a piece of property. If a large group of people purchase a piece of property together and convey their interests separately, the examination of these records can be quite cumbersome and very prone to errors. This is one reason lenders are generally hesitant to make a loan against a fractional interest in a property; the confusing chains of title make defects more likely. With blockchain technology, this problem becomes trivial. This may lead lenders to be more willing to loan against fractional interests in a property, due to a reduction of risk. Because the Cook County experiment has been successful, other county governments will likely begin similar trial programs. Blockchain will likely become a common technology, along with may other technology's affecting real estate.